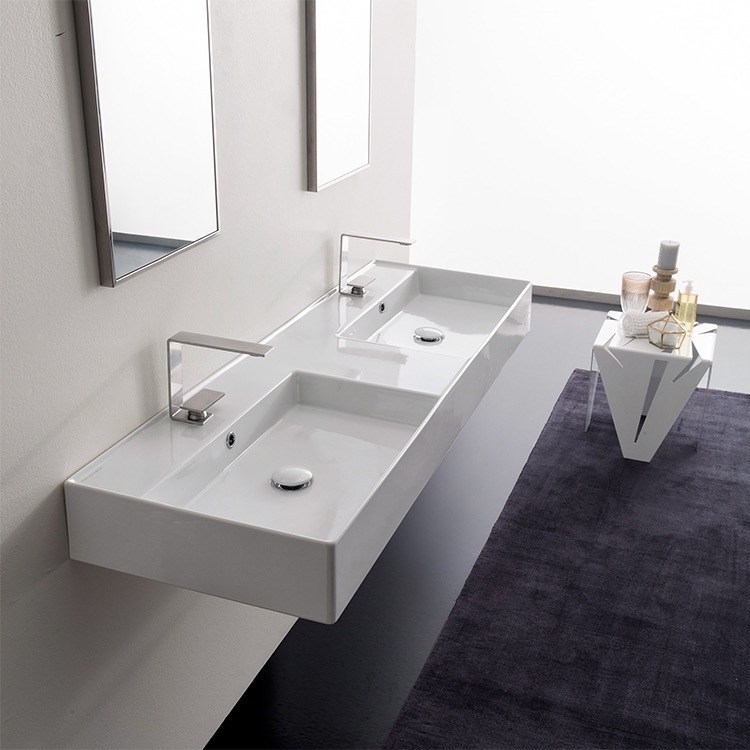 This double ceramic bathroom sink is made from high quality white ceramic by Italian designer Scarabeo. It is a capable of being mounted to the wall or used in a vessel application and available in a two hole, no hole, or six hole configuration. 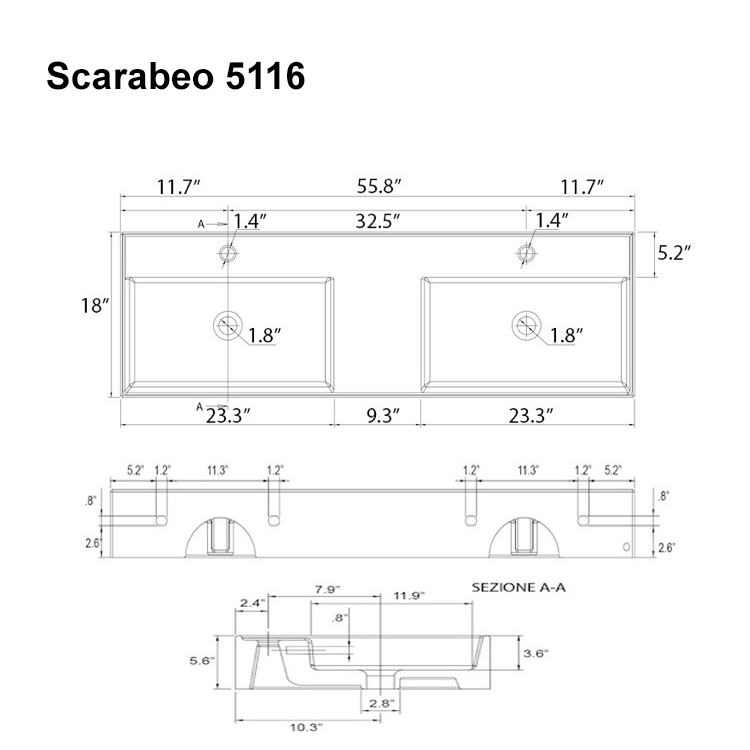 This sink is part if Scarabeo's Teorema 2.0 collection.